MY TRIP TO OKC WAS SPONSORED BY VISIT OKC. ALL OPINIONS, AS ALWAYS, ARE MY OWN. One of my favorite things to do is seek out the unusual and unexpected destinations and find out what is so great about them. Most places have something going for them – it’s just the rest of the world hasn’t caught on yet. So, was I surprised that Oklahoma City had something going for them? No, not at all. Was I surprised that I fell in love with this city? Absolutely. Last month, I spent an incredible 48 hours in Oklahoma City with Chris & Heather (A Brit & A Southerner) and Rob & Ann (Travel Latte) and while 48 hours is never enough time anywhere, it gave me a quick and dirty intro to this wonderfully vibrant and growing city. I’m from Nashville where we have nearly 200 murals (I can’t keep up with the count but it grows damn near every day) so while I love searching and finding street art wherever I go, its hard to keep me impressed on a whole. However, the OKC street art scene blew my mind – both in numbers and quality. 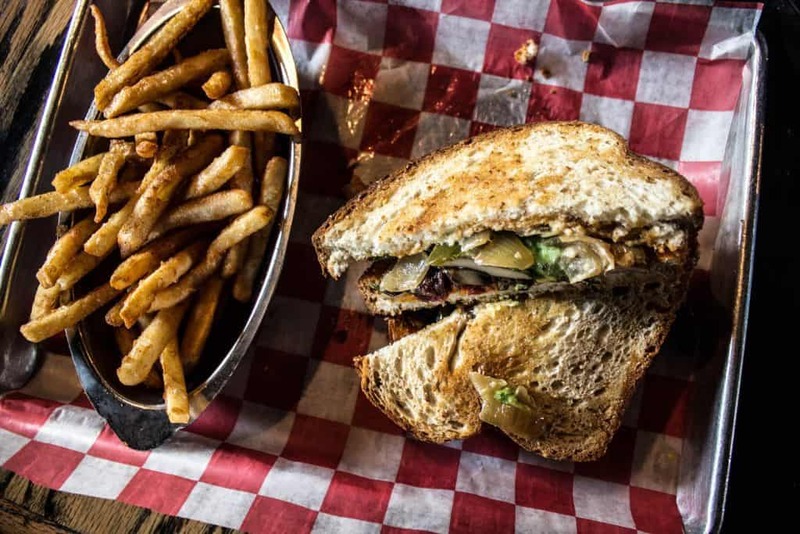 Shortly after my visit, I cranked out my vegan guide for OKC as quickly as I could because I legit needed everyone to know how amazing the vegan scene is there. 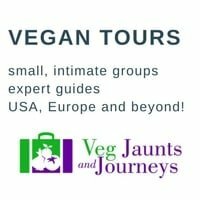 My blog has been around for many years now but ever since going vegan 2.5 years ago, it has become my mission to show others that traveling as a vegan isn’t nearly as hard as one may seem. I won’t lie – I thought my work was cut out for me in OKC – literally cattle country – but oh was I so wrong. On our last morning, we went on a little self-guided coffee tour and had probably three too many espressos but what we did prove was it is not difficult at all to find a great, local coffee shop in Oklahoma City. 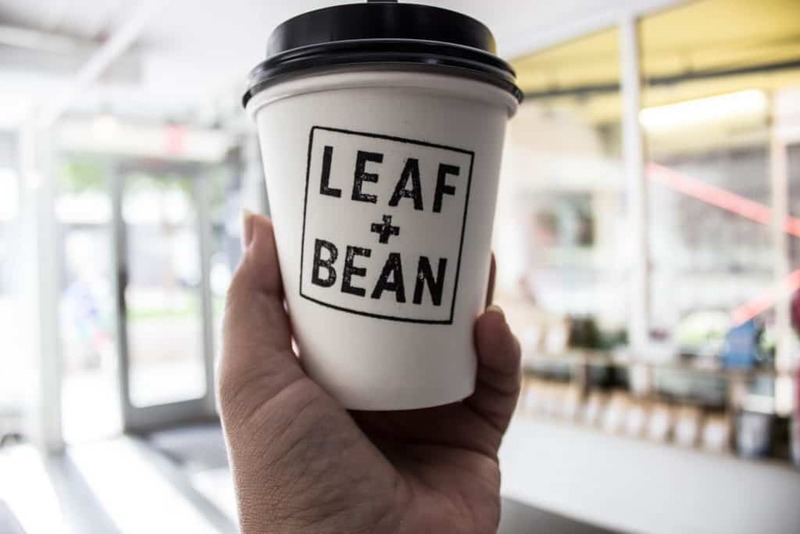 Check out A Brit and A Southerner’s post on the best coffee in Oklahoma City. I remember making several remarks about how little traffic there was in OKC but it’s not as if there weren’t people so I don’t know how that worked out?! The neighborhoods are definitely more spread out like Nashville but without Nashville’s absurd traffic. Regardless, it was very easy to get around the city – traffic is minimal and parking is ample. You can also rent out Spokies (bike rentals) like we did or hop on the brand new trolley system that will be debuting later this year! I’ve always been a self-admitted museum non-enthusiast. It is just really hard to keep my attention and I’d rather be out doing something much more action-packed. However, I decided to try out a couple of the many museums that call OKC home and I was definitely not disappointed. Unfortunately, OKC is the place of the Oklahoma City Bombing in 1995 – a major point in history for terrorism in our country and the world. What the city has done is taken an absolutely horrible moment in time and turned it into a beautiful museum and memorial. I also checked out the National Cowboy & Western Heritage Museum which is home to 28,000 Western and American Indian artworks and artifacts. Street art isn’t the only art form that OKC has going for it. 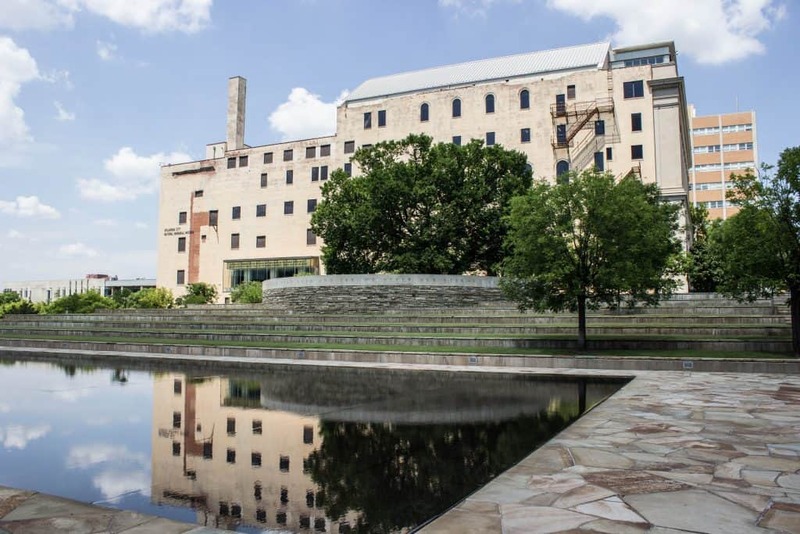 If you’re an art lover, you may found that OKC is a perfect destination for you. It can all start with the hotel you stay in even. We were lucky enough to call the 21c Hotel home for a couple nights. 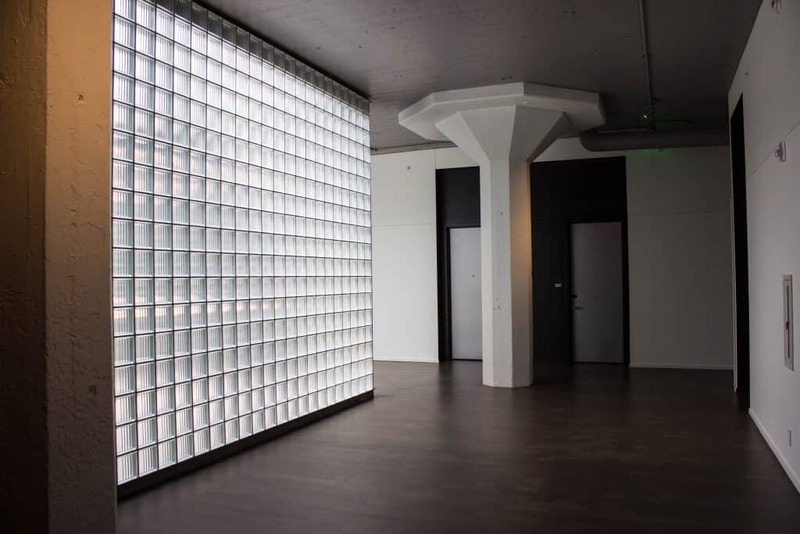 If you’re not familiar with the 21c hotels, its a smaller, domestic chain of hotels that are also art museums. This particular one is in a renovated old factory warehouse and the architecture is just stunning, the natural light in the rooms is unheard of and the artwork is amazing. Want to stay at 21c in Oklahoma City? Check out reviews here and book here. 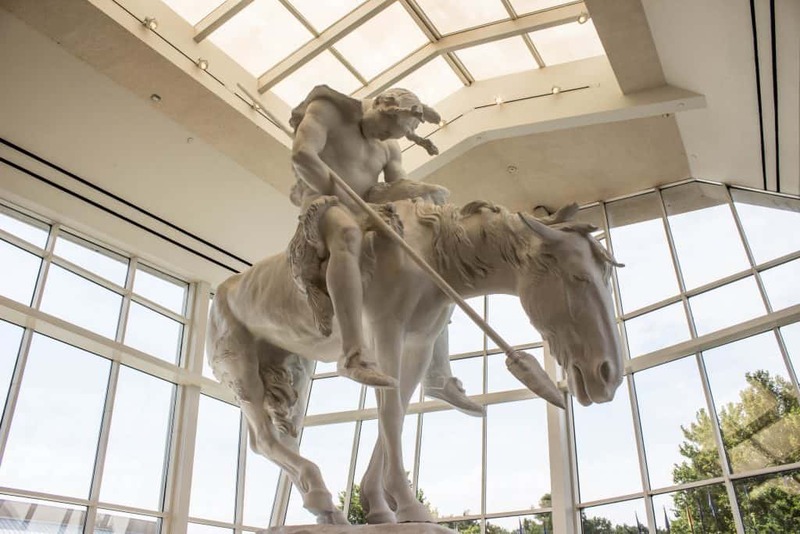 Additionally, you can check out the Art Museum which is home to a permanent Chihuly exhibit and the Cowboy & Western Heritage Museum which is home to many Western and American Indian artworks, sculptures, photographs and more. 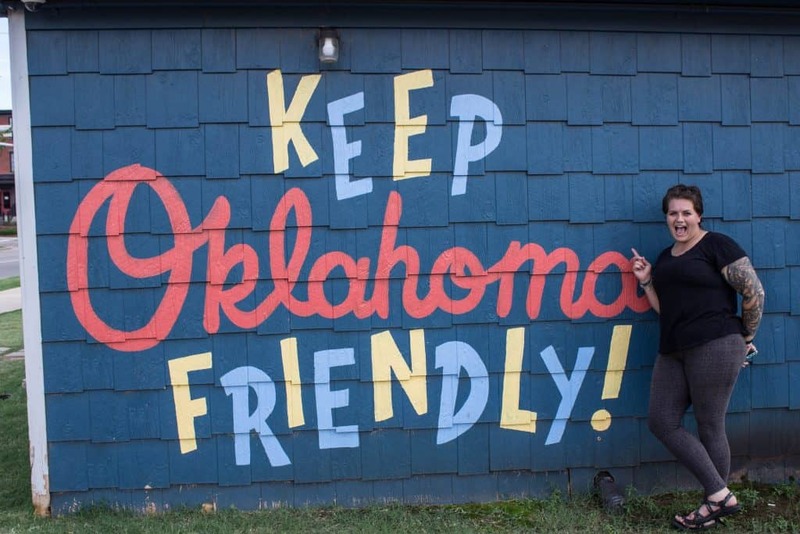 Want more tips on checking out OKC’s art scene? 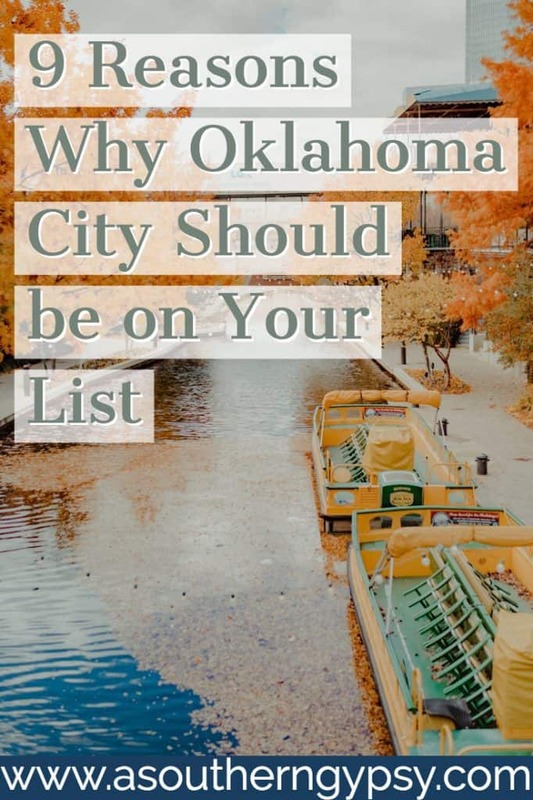 Check out Trave Latte’s post on the best places to see art in OKC. 7. “Southern” hospitality is in OKC too! I’m used to really friendly people, okay? So, I really notice and appreciate when people in other places are also really friendly. I’ve found the Midwest to be similar to the South and perhaps that’s why I fell in love with St Louis so much but I was also pleasantly surprised to find this same “southern” hospitality extends to Oklahoma City too. Everyone was incredibly pleasant and eager to help, from my Uber driver (despite whether he thought is own city was exciting enough to warrant a visit) to the Bricktown Water Taxi driver who was also extremely corny. 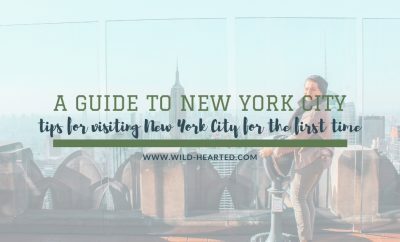 Do you find yourself struggling between choosing a city or an outdoor travel destination? Look no further! OKC brings it to you in the city. You can experience Class II-IV whitewater rapids IN THE CITY. Olympic kayakers actually train here – it’s not a joke, y’all. Additionally, you can go rock climbing in an old silo – also right in the city. I thought I’d go to Oklahoma City, see some cool stuff, tell you about it and that’s it. One and done kind of trip. But, no. No, that is definitely not the case. 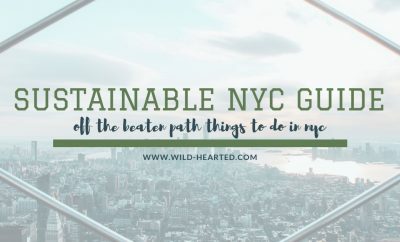 I will definitely be getting back to this incredibly underrated destination to explore all the bits that I didn’t have time for and also – vegan donuts. 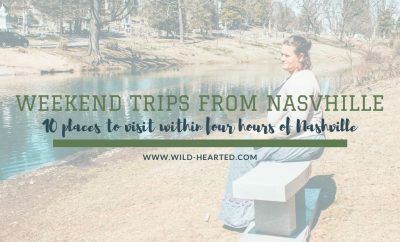 Flights from Nashville are fairly cheap – I think I got my roundtrip for just around $200 so watch out, I’m coming back for you! There were many other reasons why Oklahoma City surprised me but this is a good start at trying to explain it! 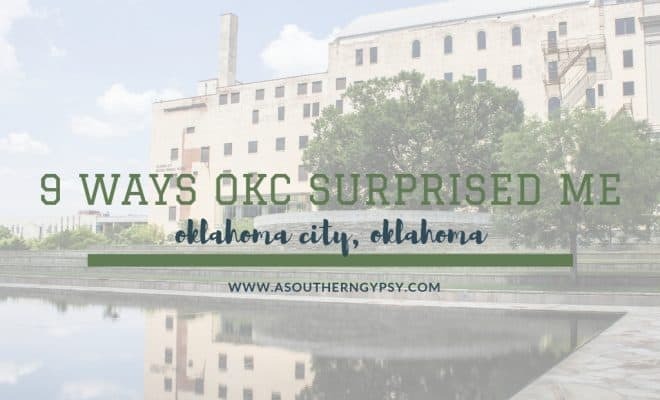 I can’t wait to go back one day so I can find even more unexpected and exciting things about Oklahoma City and see all the changes that are being made – for the better! 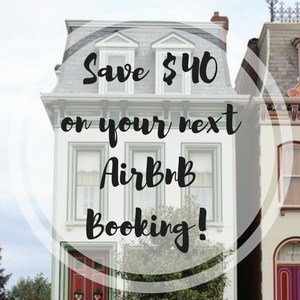 Looking for accommodation in OKC? Check out reviews here and book here. Want to know where to eat in OKC? Here’s a vegan guide! What else have I written? You can find more Oklahoma posts here. I love street art! I’d set out in search of it here, too. I’d be interested to learn more about the bombing that occurred. I’m glad there is information there about that, but the Cowboy Museum might interest me even more. Looks like there’s lots to do and see in OKC. Hope I find myself there sometime soon! You are really selling Oklahoma City! I got so interested in OKC after WITS and I’ve loved virtually traveling there through your posts. I am one of those people that you mention that can’t decide between city or outdoor adventure… and I loooove that OKC offers both! Wow! Totally had no idea about all the opportunities in OKC. The white water rafting in the middle of the city. That’s the coolest thing. You’ve definitely made me put it on my bucket list. I would love to experience a true example of southern hospitality. I assumed the food there would be delicious, but it looks like they cater to everyone which is awesome. I also really love places that have fabulous street art. awesome. As an OKC resident, I completely agree with all of this! I think it’s just a matter of time before Oklahoma City stops being a surprise destination and turns into a hot spot. It’s a great place to live too! “Most places have something going for them – it’s just the rest of the world hasn’t caught on yet.” Love this, Ashley! It’s so true. There’s a lot of destinations out there that I wouldn’t have thought to visit initially (Indianapolis, Milwaukee) that have a surprising amount to do and see. I guess it’s not surprising to the people who live there — it’s us who are behind! I had no idea that there are rapids in the city; that’s pretty cool. Glad to hear that the museums and vegan scene in OKC are great too! One of my longest online blogging friends lives in OKC and I have sworn to one day to make it there so I can finally meet her in person. 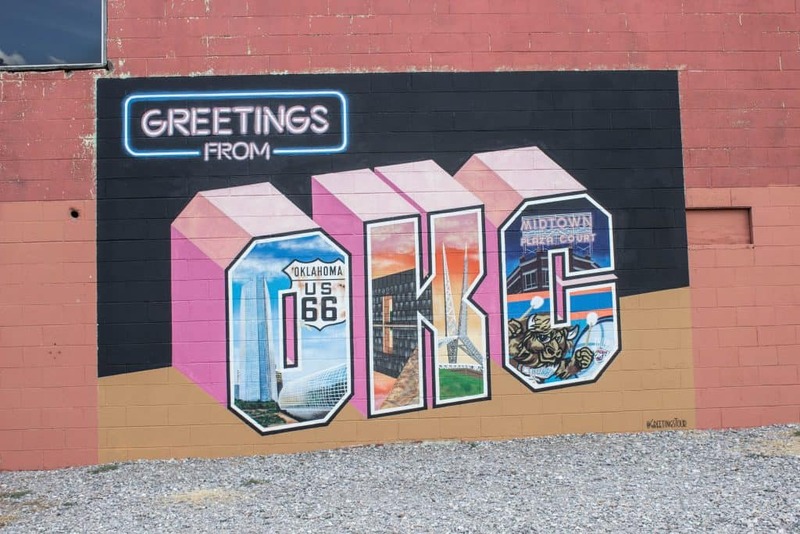 I think OKC has changed a lot in the past decade and it seems like all for the better – I’m seriously impressed with all that this city has to offer!